Real beauty exists when only a few words, or a few brush strokes, can suggest what has not been said or shown, and hence awaken many inner thoughts and feelings. The Zen monk Shinkei (1406-1475), goes on to explain that yugen, is based on a refined beauty which can only be appreciated by the heart. 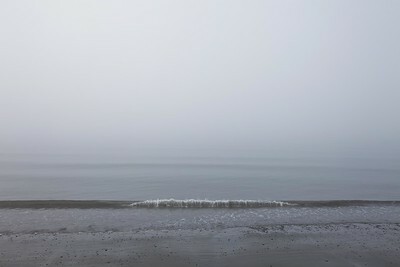 The light is very faint, subtle, just enough to differentiate the wave from the soft sea, the sky and the sand. Critically, there's just a hint of building waves in the background. - Sandcut Beach, Vancouver Island. Subtly profound grace. 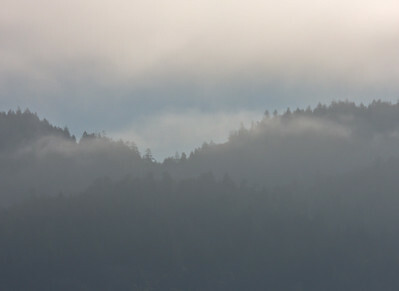 A faint and delicate, morning mist at Sooke, Basin. - Sooke, B.C. A subtle wavelet mirrors the angle of the lines in the sky. 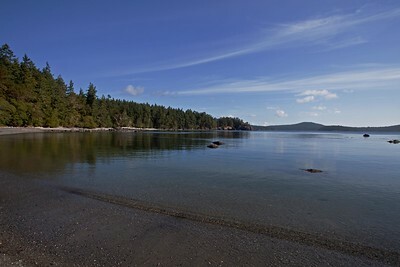 - Beecher Bay, in East Sooke Regional Park. 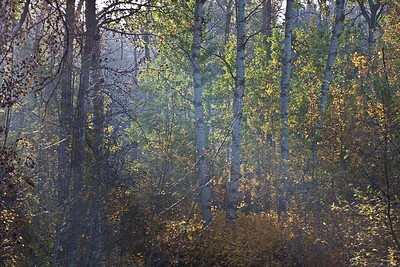 The very subtle light in the foreground adds texture to this image of fog and mist. 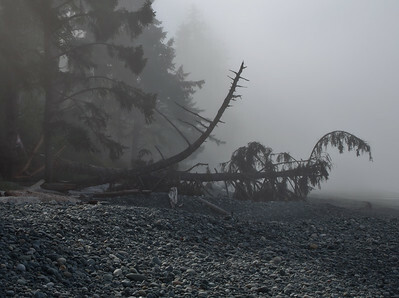 - Sandcut Beach, Vancouver Island.